It’s one or the other, apparently. INDEPENDENT TD MATTIE McGrath has called on the Minister for Finance to reduce the Government’s excise duty on petrol and diesel. Deputy McGrath said his proposal was reasonable as the cost of crude oil is at a record five-year low. However, a spokesperson for the Department of Finance said the suggestion was not realistic as it would result in a tax hike elsewhere. The Tipperary South TD said the Government had an opportunity to make sure people could “directly feel the benefit” of the economic recovery. “The cost of crude oil has fallen to a five-year low and that should be reflected in the savings that can be passed on to motorists and employers like hauliers and others in the transport sector,” McGrath said. He added that the Government “chose not to” support an opposition Private Members Bill, the Motorist Emergency Relief Bill, that would have effectively cut fuel prices by 5 cent, in 2012. It is staggering to see that almost 57% of the retail price of petrol is in the form of taxes paid to the Government. In light of that scale of revenue return there must be some room for alleviating manoeuvres on behalf of the taxpayer. 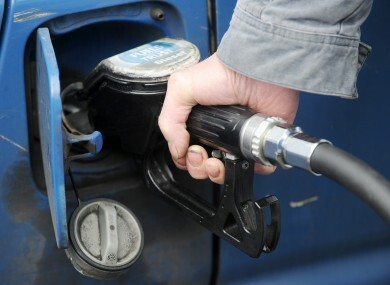 The Department spokesperson said the taxation on petrol and diesel “comprises an excise component which is fixed and a VAT component” based on the end-price of the product. “Accordingly, the steady reduction in the price of petrol and diesel in recent months, while good news in terms of reducing costs for business and the public at large, has meant a reduction in VAT receipts to the Exchequer in respect of these products. “Any reduction in excise duties would have to be balanced by an increase in tax elsewhere or by a reduction in public expenditure,” he stated. Email “'Cheaper petrol would mean higher taxes' - Department of Finance”. Feedback on “'Cheaper petrol would mean higher taxes' - Department of Finance”.